What is it about second grade? Ask friends and family for a special or important memory they can recall from childhood, and very often you’ll hear a story from around the time of second grade. Perhaps in first grade, kids are still navigating the transition from kindergarten, and by third grade, they’re all grown up. In second grade, our social character traits are beginning to blossom and the sting of failure, fears and flaws feels somehow magnified. 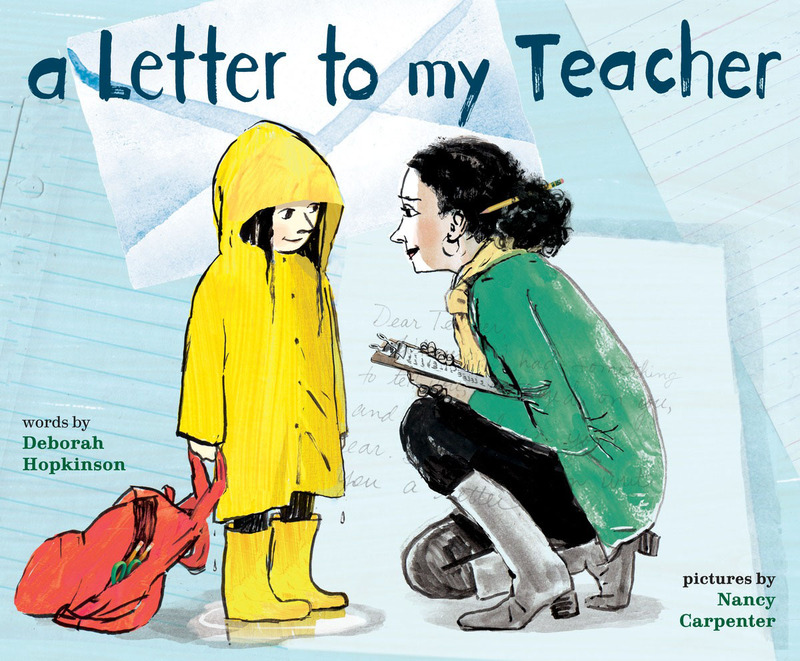 Deborah Hopkinson has written a gorgeous little paean to second grade in her new picture book, A Letter to My Teacher, with pictures by Nancy Carpenter (Schwartz & Wade, April 4, 2017), told eponymously by an unnamed little girl navigating the start of second grade. Heartbreakingly, she always expects the worst. Will her teacher scold her for stomping into school in the first day with muddy boots, stumbling over words when reading out loud, or wandering away from the group on a field trip? Instead, as we hope and delight in, her teacher is patient, supportive and always encouraging, if sometimes “exasperated,” which delightfully leads our little heroine to search for the word in the dictionary—a true teaching moment. This story will hearten children and sweep adult readers back to recapture a special time in our lives, while reminding us how exciting it can be to teach children and how grateful we all should be to those who choose to do so. 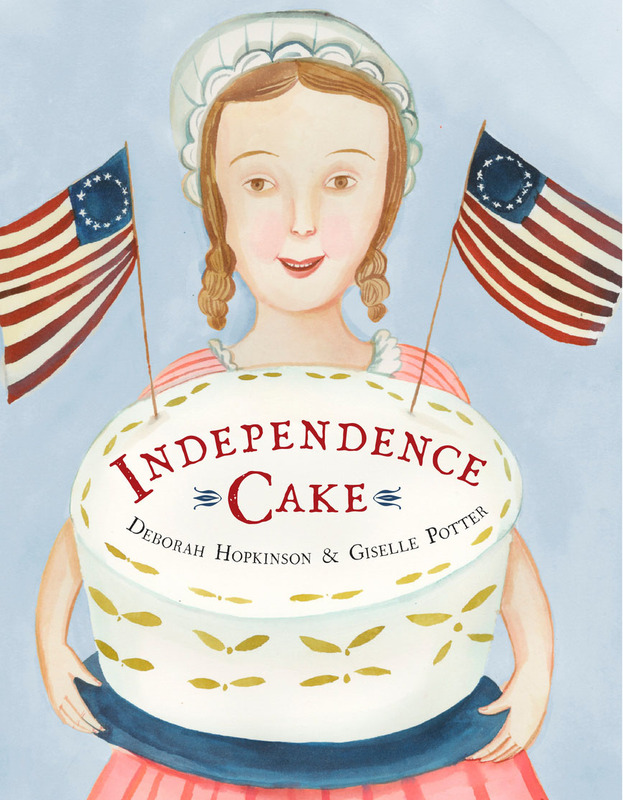 Independence Cake: A Revolutionary Confection Inspired by Amelia Simmons Whose True History is Unfortunately Unknown, illustrated by Giselle Potter also by Schwartz & Wade (May 9, 2017). Independence Cake features another strong female character, Amelia Simmons, a “plucky patriot”—a little girl not prone to feeling sorry for herself—with creative ideas of her own to honor the birth of the 13 new colonies and George Washington’s visit. What is especially inventive about this tale is how Hopkinson created a story to surround the few known facts about the real Amelia’s life. The scant record shows only that Amelia Simmons, an orphan, very likely made her living as a servant or a cook, and in 1796 published American Cookery, the first cookbook published by an American. There is something quite satisfying in seeing how Hopkinson’s story details bring Amelia back to life. Hopkinson sprinkles plays on words related to cooking and baking throughout the book that will delight both children and the adults who will surely be reading this story to them repeatedly. Children will love scanning all the activity going on in the background of Potter’s illustrations, whose style mimics the flat perspective of early Colonial art. Although Hopkinson and Potter might have included some diversity in other characters who might have interacted with Amelia in real life, they offer us this one thin “slice” of time beautifully.